5. The colour of this skirt is so pretty. 4. 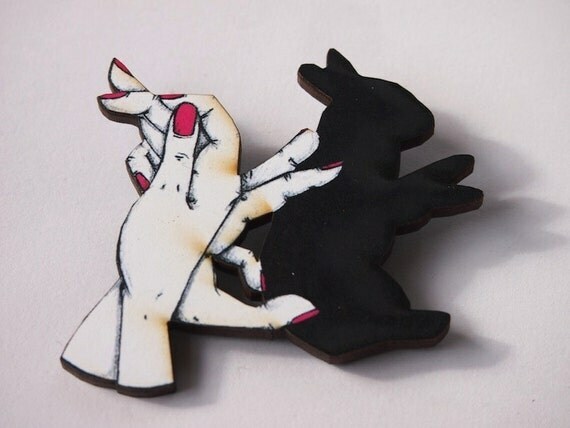 I saw Kaylah mention these shadow puppet brooches and I totally freaked out. I love them. They are off the hook. And if you know me you know that I do not just throw that phrase around. 3. This movie was really neat. Ivan put it on Netflix a few weeks ago and I really enjoyed it. It is awesome to see how nice people can be. 2. 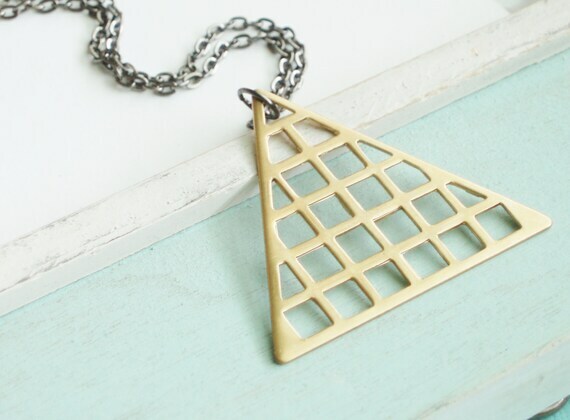 I love this pretty triangle necklace. 1. These Mallory frames from Warby Parker are awesome. Today I plan on putting some finishing touches on the office and moving the remainder of my offfice junk out of the kitchen. And I will probably need a nap after that. I have been so sleepy these last few days! Also it's rainy today and that makes me extra tired. Do you have any exciting Friday plans? My husband & I were going to watch Craiglist Joe last night but it just didn't seem that interesting to me. Maybe we'll watch it tonight. I LOVED craiglist Joe it was a really uplifting film about the good in people. I've always wanted to hitchhike across the country. This would be a safer alternative, maybe? The movie gave me all these nice, euphoric feelings after it. I just recently watched Craigslist Joe and really enjoyed it as well. It was refreshing to see the kind side of people especially since we're always bombarded with the terrible things on the news. Love the triangle necklace and I wanna see that movie! Those are the frames I'm ordering (shape and color)!! 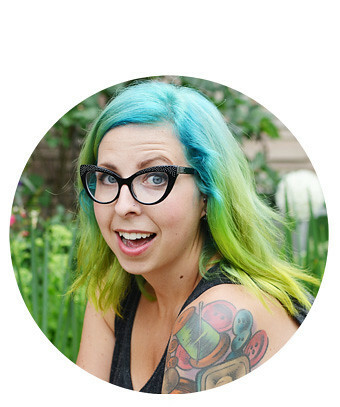 I knew I liked you for a reason, we have the same awesome taste in frames! ;) I had them sent to me about two months ago - we had a few financial set backs, so I'm just waiting for things to pick up a little bit before I order them. We watched Craiglist Joe last night! It was really awesome--didn't know Zach Galifianakis promoted it. That brooch is so awesome! If you liked the shadow puppet brooch as much as I did, you might like the ceramics one of my best friends made right here, in Brittany, France ! I don't think she ships to Canada, but who knows ? Anyway, I really like your blog and I am always impatient to discover your friday's favorite and your great thrifting picks !